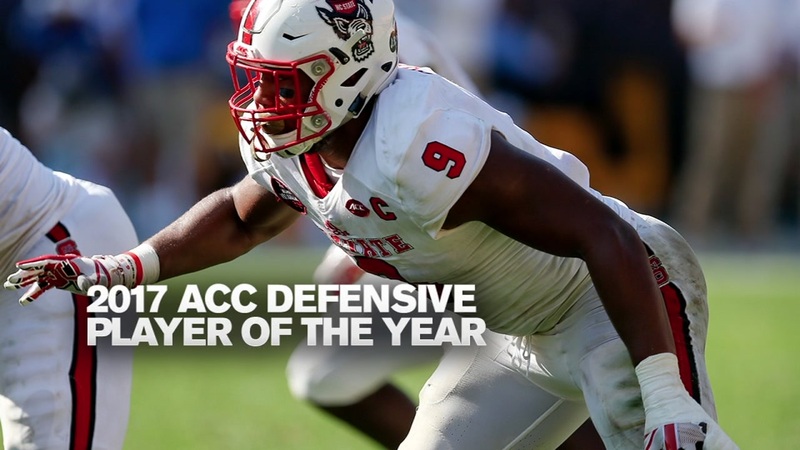 NC State's Bradley Chubb is ready for the NFL Draft and to have some fun in the process. Like a kid before the first day of school, Bradley Chubb already has his outfit picked out. "Yeah, I know what I'm wearing I teamed up with Collection by Michael Strahan," Chubb said. "I did my final fitting yesterday, last-minute changes and ready to walk across the stage with it on." Don't expect to see any tears with that new outfit. "I saw on Twitter someone made a poll that I will be the first one to cry out of all the draft prospects," he said. "So, I thought that was a little disrespectful. I'm just going to smile and be happy. They ruined the crying thing." The former NC State defensive end doesn't seem nervous on the night before the draft, finding time to crack jokes. Days away from the NFL Draft, and Bradley Chubb anxiously awaits to see which team will draft him. He won't have to wait very long. "I actually switched positions not too long ago," Chubb said jokingly. "I'm in this draft as a quarterback. Just going to see how that goes and looking forward to it. Hopefully, they see me as a good quarterback even though I don't have any film. We will see tomorrow night though." The 6-foot-4, 269-pound Chubb is projected as a top-five pick. "I just think the film speaks for itself," he said. "I'm a humble guy but when it comes to things like this, I'm very competitive. I'm a guy that's going to give you 100 percent every play. I'm relentless...I feel like that's one of the reasons why I should be the No. 1 overall." Thursday, a new chapter will start in the Bradley Chubb era, but one thing that will stay the same, those dance moves. "In the NFL yeah, you definitely are going to see some dancing," Chubb said. "Definitely going to see me having fun, too."